Achievements: Best In show at the February Desert Sieger International Dog Show in Tucson, AZ. 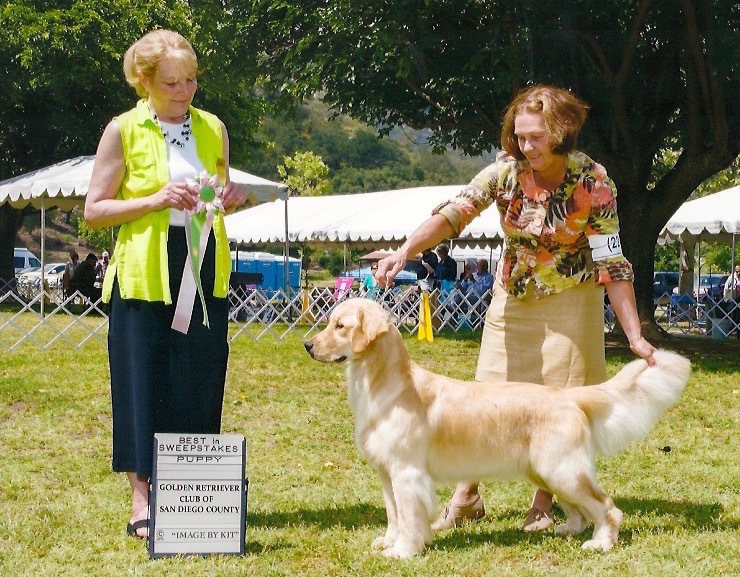 Best In Sweeps at the June 2015 San Diego Golden Retriever Specialty show in Valley Center California. Allie goes WB at the White Mountain KC show in September for her first point!